Not your average kids’ mattress, Ashley-Sleep’s Ikidz Memory Foam mattress is custom made for sweet dreams. 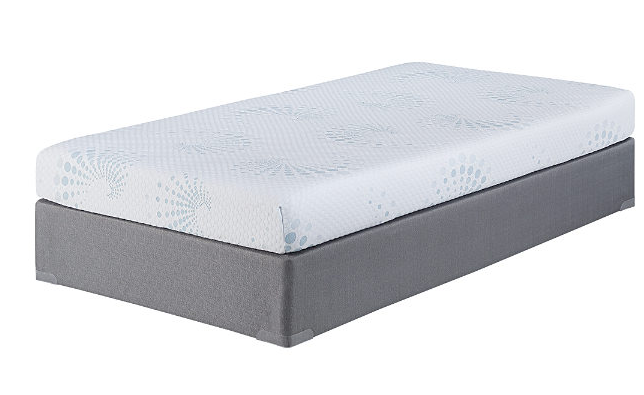 Offers a perfect combination of firm pressure-relieving comfort and dynamic support from the top down. 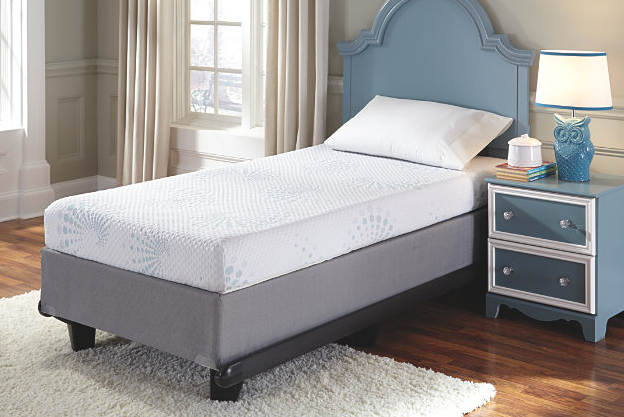 Innovative elements include a eucalyptus-based ventilated top foam layer for temperature correction that wicks away moisture from the body and the mattress. In addition, a four-way hyper stretch knit cover eliminates surface tension and allows kids to move comfortably on the mattress surface with no binding. Foundation/box spring available, sold separately. Smart Buys are our best everyday low price and excluded from promotional discounts and coupons.